Vampires are known for their clandestine attacks upon unsuspecting people. I choose the word Emotional Vampires because there are elements in our society be they human beings or environmental toxins that are sucking life’s energy out of so many of us. These elements are often either invisible to us, avoided by us on a subconscious level of self-protection; and /or fear of change. There are also some of these elements that seem to be forced upon us. They could be either human or environmental because we feel we have no choice, for example GMO foods. In any case, over time they cause stress and illness. 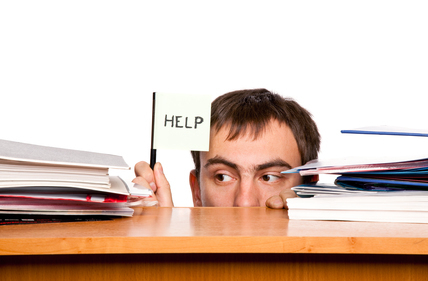 Avoiding stress is difficult for most of us since our modern world has made stress an inherent part of life. Stress begins in early childhood and never lets up throughout our linear lifeline. So, it is accepted on an unconscious level but not on a mental and physical health level. For instance, a female child may start to learn very early that it is her responsibility to become a caretaker, (and sometimes an enabler). She watches her mother do this and is given certain responsibilities that enforce this behavior until it becomes her life style. Then as a mature woman when anything goes wrong in the household she may believe it is her fault, whether this is true or not. This creates stress, also because the woman is often trying to make everyone content and many times she is also the buffer between members of the family who have conflicts..A male child as a toddler is cuddled when he falls. But then at a 4-5 year level if he falls and cries he is told big boys do not cry which up to this point was rewarded with caresses. So he has a double message implanted in his head. He is also told that he should be kind to others. He also may be told to watch his back for manipulating people (emotional vampires) and not to trust anyone: Another double message, which latter can cause relationship stresses. Stress does not have to be from other people (who I call emotional vampires since they thrive on sucking out our emotions) but we are also getting toxic stress from our environment, such as mercury intoxication, from our foods and some vacinations, heavy metals such as aluminum and cadmium, arsenic,etc.. From these vampire affects we are more likely to get different cancers, diabetes, arteriosclerosis, cardiac diseases and hormonal dysfunctions. Obviously having a chronic dis-ease is another stress.How does all this relate to emotional vampires? It is important to know that the environment plays a big part from birth on that is often not considered by the average person and is often ignored by physicians as a source of stress. Then there are the many vampire organizations like the medical-pharmaceutical alliance and big corporations’ greed that affect hormonal well-being. In other words, this vampire effect does not always have to be one individual attacking another but our value system that invokes catastrophic poisoning to our immune and hormonal systems via the stress that we allow. After 40 years of medicine and thousands of patients I am completely convinced that genetics may be a predisposition for some dis-eases; but in the majority of cases the pathology would stay dormant and not become overt until stress causes it to surface. 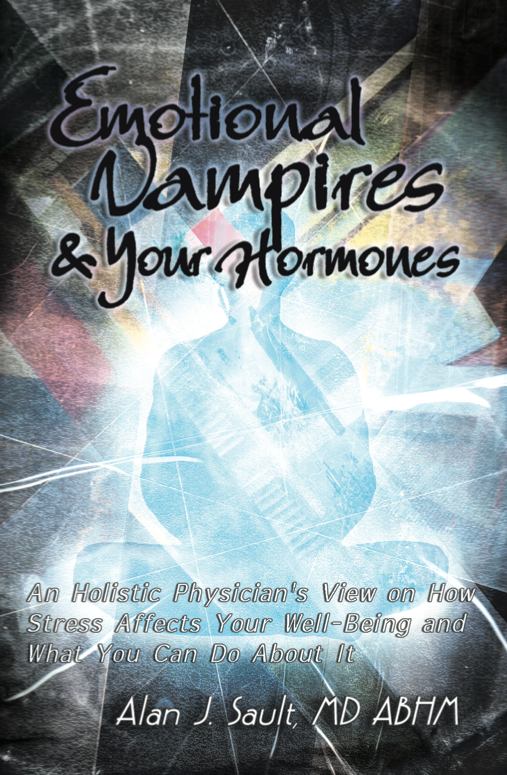 In my book: Emotional Vampires and Your Hormones: an holistic physician’s view of how stress affects your well – being and what we can do about it; I go much deeper into all the above topics. This entry was posted in Stress on November 25, 2013 by Alan Sault MD, ABHM. If you choose the first, of course, nothing will change except you will become more and more worn down. The “change the source” option. The “change your response” option. The third option is for the situations in which it is not possible, or perhaps not even desirable, to eliminate the stressor from your life. Maybe your boss is driving you up the wall, but you like everything else about your job—it is interesting and challenging, it pays well, the hours work well for you, you get along well with your co-workers, and it’s conveniently close—and you really don’t want to quit. In this situation, changing your response to the stressor would be the best course of action for you. Easier said than done, right? Right. But eminently possible. And again we begin with imagery, creating a special place in your mind where you can face your boss. Remember that within your own mind you have complete control: you can create any place you want, indoors or out; you decide on the vegetation, the color scheme, the season, the time of day. And if your boss tends to intimidate you, you can give yourself whatever you need in order to feel powerful and safe: a magic cloak, a shield of light, your guardian angel, or your own Samurai. And perhaps there is so much stored up resentment that you first need to vent, and tell your boss exactly what you think of him or her. So go ahead, scream and curse all you want, and when you’ve got all that out of your system, you take a deep breath, surround the angry words in a bubble of light, and blow them away. Venting in the privacy of your own mind will give you relief; venting at your boss may give you temporary relief but is not going to get you to where you want to be. “A soft answer turneth away wrath: but grievous words stir up anger,” so says Proverbs. Stirring up his or her anger is not in your best interest, because the boss has more power than you and your goal is to stay at your job. So there you are, in the safety of the mental sanctuary you have created. You have vented all the wrath and now you turn to the soft approach, speaking your truth clearly and firmly, articulating what you want and imagining him or her responding in the way you want them to respond, saying what you want to hear or at least being open to negotiation. However disgusted, angry, frustrated, whatever, this person makes you feel, remember that your goal is to make your workplace a pleasant place for you. Your negative emotions just fuel the negative atmosphere. So approach this person as you would a stranger, with positive expectations. When you do feel ready to speak to your boss in person, whether or not he or she responds in the way you want you will feel better for having spoken your truth; you will not take personally his or her bad moods; and you will feel strong enough to say “no” to unreasonable demands. Emotional Vampires and Your Hormones: an holistic physician’s view of how stress affects your well-being. This entry was posted in Stress and tagged Options to stress, stress, stress management, what to do about stress on November 25, 2013 by Alan Sault MD, ABHM. 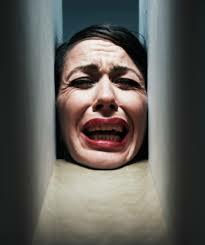 Avoiding stress is difficult for most of us since our modern world has made stress an inherent part of life. Stress begins in early childhood and never lets up throughout our linear lifeline. So, it is accepted on an unconscious level but not on a mental and physical health level. I refer to people that cause us stress as emotional vampires. They seem to feed off our emotions for their own survival and profit while sapping us of our energies and health. But emotional vampires are only a part of our stress and therefore our dis-eases. We are affected not only by overt stress, but also the stress of which we are unconscious, that we may accept as just the way life is and not taking time for rest, exercise, and a good diet instead of fast food, business luncheons and cocktails; excessive air travel, may be a necessary part of business life, but it is a source of stress; the young mother who multitask from getting up to going to bed; and so on. I do not believe that the role stress plays in the causality of pathologies is well appreciated, by either laymen or physicians. In 2004 the National Institute for Occupational Safety and Health came out with some interesting statistics: two hundred billion dollars a year was the cost to business due to stress, in stress-related absenteeism, tardiness, the loss of talented workers, divorces and executives quitting; and stress was a factor in 70-90% of employee hospital visits (quoted in Adrenal Fatigue, by James Wilson DC, ND, Ph.D.). Other stress factors are: the motivated business-person who pushes him/herself constantly; our environment with the obvious ones being heavy metals such as lead, mercury, aluminum, arsenic and cadmium. Then there are plastics (known medically as phthalates) that act as estrogen mimics and play havoc with the estrogen receptors: and even a lot of our pharmaceuticals. Pharmaceuticals as mentioned, for example the statin drugs for lowering cholesterol. These have so many side effects that I devoted a whole section in my book Emotional Vampires and your Hormones: an holistic physician’s view of how stress affects your well-being. But even antibiotics, An article in Emergency Medicine (November 2004) indicated an association between antibiotic quantity, the cumulative number of days used and breast cancer. These antibiotics are also known to cause gastrointestinal diseases such as dysbiosis (killing of the helpful intestinal bacteria and letting a lot of the harmful bacteria and yeast take over. Synthetic hormones in our meat and now genetically modified foods (GM) in so many of our vegetables and fruits. Just note also all the insecticides, pesticides, fungicides and preservatives that we eat. Anyway, I could go on and on with the list of stressful factors that our body has to fight each day besides just the emotional vampires but this blog is what stress can do to our well-being and that is our health. the brain reacts to mental stress the same way that it reacts to physical stress using the same adrenal hormones, cortisol and adrenaline. It does not differentiate between the two types of stress, even though you might expect your brain to know that fight or flight is not a helpful response to an overbearing boss or a recalcitrant teenager or not enough money to pay the mortgage. Under any kind of stress, physical, emotional or mental, the brain stimulates the stress response and releases the stress hormones. This is why the best athletes use imaging of the exact performance of their sport. The same hormones are released during these images and the physical body responds at rest as if it were active, thereby building up the muscles needed for the active act. Humans (and other animals) have developed a “flight or fight” response. For humans this response is the adrenal glands giving off adrenaline and cortisol. This response, for example, lasts only enough time (about 10-15 seconds) to get away from the tiger. Of course if one does not get away in this time they never have stress again. But our modern society has created constant continuous stress. Cortisol is the hormone that powers the stress response. When the body perceives a stressor, the brain signals the adrenal gland to increase the production of adrenaline and cortisol. Cortisol signals all the body’s systems involved in the stress response to go into high gear. If he/she remains in stress the adrenal gland needs to persistently excrete cortisol and therefore we get into a potentially pathological state. The cortisol stays high all the time stimulating the liver to put out sugar (from its glycogen stores) for fuel so the person can “fight or flight.” The high sugar levels stimulate the pancreas to put out insulin constantly to push the sugar into the cells via the cells receptors. Now there are a few sequels to this scenario. First the cells cannot use all the sugar that the cortisol-liver-insulin axis delivers continuously, so it pushes it into storage as fat [triglycerides]. This gets deposited in women in the thighs and buttocks and then the abdomen. In men it is first deposited in the abdomen. (This is why it is near impossible to lose weight or keep it off when a person is constantly stressed). Another thing that can happen to some people is the surge in insulin drops the blood sugar too much so they get what is called a reactive hypoglycemia. This makes the person lethargic, angry-aggressive and sleepy. This hypoglycemia is an added stress to the already ongoing stress. More stress! If this stress continues to stimulate the former reactions eventually cortisol levels remain high until the adrenal gland fatigues out and produces low levels or none of cortisol. Also the receptors on the cells for insulin get tired of being hit with insulin so much and consistently that the insulin cell receptors develop a resistance to the insulin. So the pancreas puts out more insulin to push the perceived needed sugar into the cells. This vicious cycle continues causing more cell receptor resistant that we call Insulin Resistance. This is the first step to diabetes mellitus (Diabetes II) and the Metabolic Syndrome [once called Syndrome X]. The Metabolic Syndrome in synopsis consists of a male with a waist over 40 inches and a female with a waist more then 35 inches; high insulin levels and high blood sugar pre-diabetes] or diabetes type II; high LDLs [bad cholesterol], low HDLs [good cholesterol], triglycerides are often high and high blood pressure. These diseases are becoming a major part of the health problem in the Western world to adults and children. Be patient all this is expanded in the book Emotional Vampires and Your Hormones. This constant outpouring of cortisol can lead to other problems that are not being addressed in the conventional medical world even though they know it. One is the problem of osteoporosis. It is known that high night cortisol levels lead to bone absorption. For example, the same warning is posted on the box for people that have high cortisol levels because they are kept on corticosteroids medications [ex. Prednisone]. We could go on about all the side effects (ulcers, lowered immune system, poor absorption of amino acids) of cortisol under chronic stress but that is one of the reasons I wrote a more comprehensive book for the laymen, because there is just too much for one blog. When I introduced the concept of stress into my practice I was surprised at how many people thought that if they admitted to having anxiety or stress in their lives they would be judged as being psychologically “sick,” as if mental illness and stress were the same thing. Patients would often tell me there was no stress in their lives. However, on further questioning I would hear that the patient was dealing with sometimes horrendous things that they were just putting off as ordinary human conditions (even sexual and physical abuse for which they were blaming themselves). When I would talk about exercise [or self-time] to alleviate such problems as depression (which has been scientifically proven to be as effective as antidepressants for mild to moderate depression), but without any negative side effects, to lose weight, and for general good health, I would often get a response of: “I do not have time.” This response in itself indicates busyness and not having time for oneself or their health. It is more important to take care of others such as the children, spouse, boss, etc.. and not devote thirty minutes a day for oneself. People only think of large stresses but even small stresses accumulate and eventually add up to ill health especially when the large stresses occur in addition to the small ones. To me there always seems to be an hierarchy of problems in a person’s life, and we are lucky when we have a reprieve of a few weeks to months without something dramatic to arrive on the top of the list. While I had come to believe in the important, perhaps paramount, role of stress in creating dis-ease in my patients’ lives, it took a powerful shock to my system to realize that I had to practice what I preached in my own life. While I had followed a healthy diet and exercised regularly most of my life, and had begun to meditate and practice yoga several years before, I was not as diligent as I could have been in addressing emotional stress. Three years ago I suffered a cranial bleed, and blood clots that infarcted several organs, including my lungs. It took six weeks in and out of the hospital and intensive care, two near death experiences, and a team of eight specialists, to figure out that I had a congenital blood disorder. I had lived with the disorder my whole life, and could have lived to a ripe old age without ever knowing about it, had not something intervened to trigger it. It is my firm belief that it was triggered by stress. Certain personal decisions and events in my professional life had created a protracted period of extreme stress, chronic anger, insomnia and their many attendant dis-eases, and my body finally said: enough. At that point I had no choice but to withdraw from everything in order to give myself an opportunity to heal. I believe stress is a main, and perhaps the most important, component of dis-ease. My 40 years of experience have led me to believe that stress is more important then the genetic factor, since it is the fire that lights the kindling wood (A major breakthrough of environment versus genes influence on our lives is in a wonderful book “The biology of belief” by Bruce Lipton PhD). The kindling wood is composed of all the microbes, carcinogens (cancer causing), emotional vampires to which we are constantly exposed, as well as our genetics. But if we maintain a healthy life style (to an enjoyable degree not having to be a stoic angel) we are able to defer major dis-eases. But with the factor of stress thrown into the everyday cauldron of potential dis-eases the boiling point is exceeded and we develop major health issues. Once we understand the role of stress and how it affects the body we are able not only to live a healthier life but a life that is emotionally relaxed and with the freedom to grow. Learning a positive response to stress is not only a way to rid our bodies of dis-ease but a pathway for preventive medicine and anti-aging practice. It is also a joy to see oneself evolve. Even if one already has a chronic dis-ease which in itself is a stressors, learning to alleviate or deal with the stress of chronic illness can be curative or at least give quality of life. In my own experience and in treating patients I have found that the best ways of learning to deal with stress are through hypnosis and Interactive guided imagery. This being done with a therapist that can do one or a combination of them. A therapist that is non-judgmental and can also give unconditional love is the fastest route and least expensive in my opinion and experience. Also, from a well trained person in these fields the client can learn to do these techniques on themselves so they can deal with other stressors. As I mentioned there is usually an hierarchy of stress factors but so often not all of them have to be dealt with just like a multitude of illnesses. If one pictures these as a pyramid, so often just getting rid of one or two at the bottom collapses the pyramid and the ones on top become insignificant or disappear. The mind plays a very important role in making people sick or well. Our intentions affect not only ourselves but others around us. If a person is positive the people around them will behave in a more peaceful manner. (Have you ever noticed how just saying “Good-morning” with a smile to a stranger brightens up their face?) The opposite is also true, and those sharing space with a negative person will very likely feel the effects. There is much evidence-based research on the mind transmitting energy and healing others through prayer and meditation. These studies, conducted in medical schools such as Duke and Harvard and many others, have not only recognized the mind-body factor in our health but also in transmitting wellness or sickness to others. This entry was posted in Stress and tagged stress and illness, stress reduction on November 24, 2013 by Alan Sault MD, ABHM.